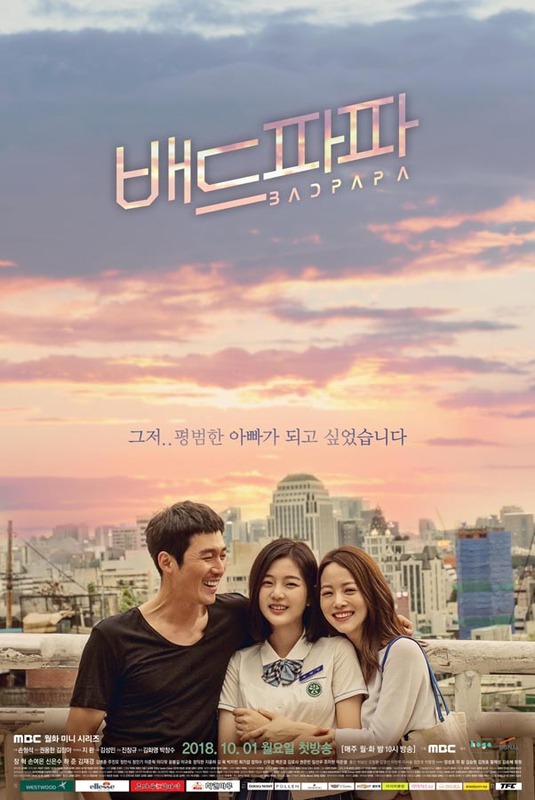 "Bad Papa" takes over MBC's Monday & Tuesday 20:00 time slot previously occupied by "Risky Romance" and followed by "Less than Evil" on December 3, 2018. Ep.9-10 + ep.11-12 will air on Monday, October 15, 2018 (an extra hour for the drama series). Ep.11-12 was originally scheduled to air on Tuesday, October 16, 2018, but a baseball wild card game will air at that time instead. Ep.17-18 did not air on Tuesday, October 30 and Monday, November 5, 2018 due to airing of postseason Korean baseball games. Ep.17-18+19-20 will air Tuesday, November 6, 2018 (an extra hour for the drama series). 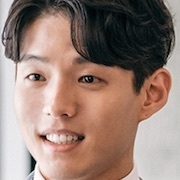 Filomena Ribeiro Apr 01 2019 12:21 pm So far I have watched 7 dramas performed by Jank Hyuk and I must admit that he is a very good actor. Great, awsome acting, allways. I shall continue to watch him in other dramas. Shen Dec 23 2018 10:46 pm If only if choi young woo did not change his blood with yoo ji cheol and stole the drug then no one will get killed. The doctor then able to develope medicine for that disease. Simglo Dec 22 2018 1:41 am I wasn't going to watch this because I kind of hate sports themed shows. Also not the biggest fan of Jang Hyuk, don't dislike him, just don't love him enough to watch it just for him. Then I saw that Park Ji Bin was in this, his first drama in 5 years, and I just had to watch it for him. I have to say he didn't disappoint even though he played an evil spoiled rich kid, he was the highlight of this drama for me. Also really liked David Lee's character in this. The rest of the actors were good also, and rounded this out to make it totally watchable, as well as recommendable. BB Dec 03 2018 6:00 am With Jang Hyuk, I am the least objective fan you can find. Why? Fated to Love You was my very first drama period and than the rest is history. So I’m extremely biased when it comes to JH’s dramas. I tend to watch his dramas twice or more in case I wasn’t objective enough the first time around. In Jang Hyuk last 2 dramas; it seemed like he was mentoring the younger cast more than anything. It is wonderful to witness that with an established actor. Capt. Alex Nov 30 2018 6:05 am Do not be deceived by the low tv ratings, I assure you this is one of the best drama for 2018. Me ann Nov 29 2018 8:12 pm All thumbs up to Jang Hyuk for his great acting in Bad Papa. ????????? rwoonah Nov 27 2018 6:48 pm it is rare for drama to have deep story of each character in it .. and this drama has it .. loved it ..it was not written just for entertain .. it has deep message .. and well done that I even forgot that they were acting .. this drama deserve "grand prize' for all the staff who related to it .. I don't think I'll forget about it for a while ..
Belle Martinez Nov 27 2018 7:42 am I love this drama. Jang Hyuk is a best actor. Great story. Good for family. Ryu Samuël Nov 27 2018 2:57 am His daughter loves him despite her being mean with him sometimes. Shin Eun Soo is really cute. Fawfaw Nov 14 2018 6:05 am the best drama of the year. I can't take my eyes off while watching this. I really love this drama, eventhough some episodes were missing in some weeks, yes it made me disappointed. but I'm still in love with this drama. I love you, Jang Hyuk! fijo Nov 07 2018 1:39 pm Jang Hyuk is fabulous in this as with everything he does. It's sad the script doesn't seem set up in a way that he can win in the end. The character is of a good person who makes poor choices. I somehow hope the writers will salvage his situation, yet I can't see it happening. Critique Nov 06 2018 11:00 am This drama has potential but it is set up for failure. The ratings are going down because every Monday and Tuesday when you expect it, the KBO is replacing it. The television network is at fault for the horrible programming schedule thats leading to the dropped ratings. Jeanna Nov 05 2018 7:49 pm I really love this show, but I will wait until it's finished. I can understand why the ratings are going down. They have great cliffhangers but eventually you will fall if you hold on too long! Sad Momma Oct 31 2018 6:18 am What happened to all these episodes we keep missing? This is why the ratings keep going down!! You can't take a drama and continuously drop it because something with higher ratings will come on. Well, then you end up losing out on the show. Glad you are making money while making the fans of this show either upset and not watch it, or sad because they love it! JAC Oct 11 2018 5:37 pm Are you talking about the kid with the deep voice, he is creeping! We are viewing esp. 8 and the daughter and wife are terrible. Jeanna Oct 10 2018 1:54 pm To Blunt, I really like the way you explained it. Yes, you are right on, but also you look at the deep root of the problem (pun intended...Deep Root). He is human and had a choice to make, one he really wouldn't have done had his friend not have screwed him over, and that's exactly what he did. He lied and made more than enough to pay him back. This was supposed to be his friend. Like he said, "at least you seem like a good father", and that is how he was able to get forgive him in someway, or more or less, get closure. If he didn't make all that money, who knows if he would've handled it different, but I doubt it because that's the type of man he is. His daughter means everything to him and so he is empathetic with good caring fathers, but not dumb to know he has been burned. I don't know why they made the title Bad Papa? So far he has been nothing but more than decent and humane. Maybe further down he will turn into a bad daddy, MUAH! So far he is the only the medicine has even worked for, but I'm nervous about the repercussions of it. Kang Oct 10 2018 11:27 am Although the story so frustrating, but that's how life is and makes it very unique as it potrays how real life wait. Maybe should wait for the drama to end first then binge watching for those who doesn't seems to like this kind of pace for the drama. But can we talk about the villain that produce the blue drug ? I skipped one episode and is he too young or any condition mentioned about him ? It seriously seems to bother me a little bit since the character still not developed much yet in the drama. But if he's gonna be an important roles of villain, hmmmmm. JAC Oct 09 2018 11:31 pm Well he has found out about his wife. Now that she the wife is taken what next? JAC Oct 07 2018 9:10 pm Why is Lee Min Woo following Yoo Ji wife? Confused and he can find him anyone to date. Alicia Oct 05 2018 4:06 am This drama is srly so good!! Love the storyline and brilliant acting by Jang Hyuk! Such a pity to those who missed it. To Blunt Oct 04 2018 11:30 pm To Blunt You seem to miss the main point of the show. The 'hero' is forced to retire from his real work, the work he actually used to be passionate about. He was humiliated in front of the whole nation. His friend did insurance fraud with him and he was left panniless. He does the police job against his will, just to earn money for his family. Despite all of his efforts he is unable to meet the need of his family. He has lost his confidence. He is depressed and he is sick. He consideres himself stupid but he is not. He is a bit naive. The drama is quiet realistic. Most of the people feel this way in some point of their life. @Blunt Oct 04 2018 6:08 pm You can't expect all heroes to be smart. I like that he is now frustrating because then there would be a lot of room for character development. All characters are flawed, which happens in real life. Not unlike other dramas that would just revolve around love stories with some BS chaebol and damsel in distress sh*t. Very tired of those typical kdrama tropes. Blunt Oct 04 2018 8:07 am Why are policemen always so badly portrayed in K-dramas? It's very frustrating to watch. The so-called "hero" in this drama looks as dumb and as uncultivated as the lowlifes he's chasing. No, actually, he looks even dumber than them. Nasii Oct 02 2018 11:57 am Eunsoo looklike a bit lim soo hyang here?? prettysup Oct 01 2018 11:56 pm Wow the first 2 episodes were so good! Jang Hyuk as a papa really moved me to tears. bhaley Oct 01 2018 11:05 pm Daebak, Jang Hyukssi! first episode and it's already a hit. 'can't wait for the next episode. Me Ann Aug 29 2018 5:53 pm Wherever there's Jang Hyuk, you will not be disappointed. He is an A list star who shines on any roles..
Sylvers Aug 28 2018 4:09 am Finally a teaser! I can finally set my calendar. Starting October 1, 2018, my Mondays and Tuesdays will be dedicated again to Hyukie Oppa! I've missed him being the lead in a drama. I hope the storyline would be as flawless as Money Flower. Agnes Aug 15 2018 1:49 am Jang Hyuk's new drama!! Looking forward to this. Sept comes sooner!! Macy Aug 08 2018 2:50 am Yes!!!! Can't wait for Jang Hyuk in a new drama and an action one! He is so good in action and acting!! @anyone Jun 18 2018 6:56 am There is no love-line. He already has a wife and daughter in the drama. He will work on getting back his family's love. Jaekyung will investigate a drug abuse case in which he is involved. Anyone Jun 18 2018 3:14 am I hope there is a love line between jang hyuk and jaekyung. Betty Jun 16 2018 11:29 am Plot seems like “Southpaw” movie. Can’t wait!! izzy Jun 15 2018 4:35 pm I hope JYP lets Shin Eun-soo accept this role. anna Jun 15 2018 6:29 am omw does this man ever rest? he'd been filming dramas after dramas. NSW Jun 15 2018 12:52 am Love you oppa! So happy with your role in this drama. It's really written for you.. can't wait to see this drama. prettysup Jun 14 2018 10:56 pm Oh yeah, looking forward to seeing Jang Hyuk as a boxer ! !